Do you have moisture in your basement? That basement moisture can impact your entire house. The good news is that you don’t have to put up with it. With basement waterproofing, you can keep your basement dry, prevent further damage, and protect your home. HS Restoration is here to help. Our expert team will get your basement dry in no time. Does your house trap summer humidity? What about springtime rain? Weather is one of the biggest culprits when it comes to basement moisture. Cracks in your windows, walls, or foundation can trap water inside the house. Floods can cause even more damage than your average rainfall. When floods happen, you may end up with standing water in your basement. That water can drag all sorts of toxins and contaminants into your home. The ground below your basement contains a lot of water. Sometimes, that water gets pushed upward. If your basement isn’t waterproof, then that water will absolutely end up inside the basement. That water will sometimes drain back into the ground when the weather gets dry, but not before it leaves all sorts of damage behind. your basement has water leakage, that water can harm you and your family. At HS Restoration, we provide disaster remediation all the time. Still, prevention is always best. 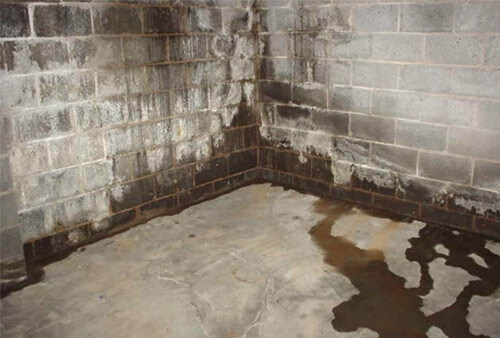 You can prevent some serious disasters by waterproofing your basement. We already mentioned that floodwater brings toxins. All types of water can stain carpets, rust metal, and rot wood. We would much rather help you keep these problems from happening in the first place. Next time you go into the basement, look for signs of water damage. Of course, the most obvious sign is the water itself. Don’t just look for standing water, though. Listen for dripping sounds in the basement. Check for condensation on the walls. Touch the floor and see if it feels damp. You might also check for mold while you’re in the basement, but don’t touch the mold or breathe too close to it if you find any. Mold, especially black mold, can trigger allergy and asthma symptoms. If you have mold in the basement, it’s likely a sign that you also have water. Mold can’t grow without moisture. Finally, if you notice a musty or damp smell in the basement, you may have water even if you can’t see the damage. Mold and mildew often hide in dark places, so they can be hard to see. If you notice a smell, though, then it’s time to act now. Water can cause long-term damage if you don’t act fast. We briefly mentioned some of the possibilities above, but let’s take a closer look. First, water can cause structural damage. Water is a lot more powerful than a lot of people realize. When it rots support beams, for example, it can put the entire house at risk. Water can also cause electrical problems, leading to short- circuits and possible injury. Of course, water leakage can lead to cosmetic problems, too. You might end up with unsightly stains all across your basement. You can replace carpets and repaint walls, but if the water just keeps coming back, then you need a permanent solution. When you do find that permanent solution, you won’t have to worry about those problems any more. Have you ever carried an armful of towels to your basement during a rainstorm? Do you ever bring down fans and humidifiers hoping to lessen the problem? Once you use HS Restoration for basement waterproofing, you won’t have to deal with those hassles anymore. Wouldn’t it be nice to have some peace of mind whenever it rains? HS Restoration will handle your basement waterproofing from start to finish. Let’s take a look at how our process works. We’ll start by checking out your basement. This way, we can figure out where the water is coming from and what processes we should use for your waterproofing. Once we’ve gotten a good idea of your waterproofing needs, we might use one or several of the options below to keep the water out. With some types of water, especially groundwater, a drainage system can keep your basement dry. We can install a drain that will make the water flow away from your house, even in case of a flood or major storm. Next, we can install dehumidifiers and air filters to keep the space dry. These methods become especially useful in case of humidity or other weather-related moisture. Finally, we can also use a waterproof sealant around your basement. We’ll form a watertight barrier that will resist all types of moisture. 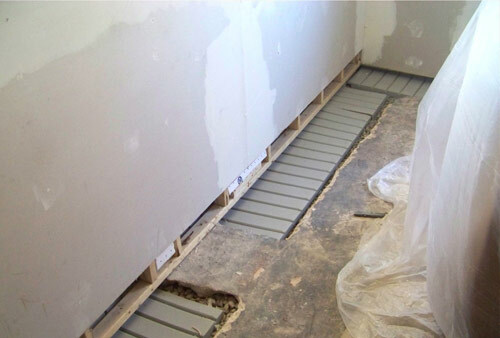 Why choose HS Restoration for your basement waterproofing? We have a lot of reasons. You don’t have to take our word for it, though. Ask any of our satisfied customers. At HS Restoration, we want to be a company that you can trust. You’re choosing somebody to repair a part of your home. That choice requires a lot of trust, and we do everything that we can to earn that trust. With transparency, hard work, and a certification from the IICRC, we want our clients to feel good about choosing us. and that our waterproofing will hold for years and years to come. We like to keep our clients happy. We stand behind our work, and everything that we do is 100% guaranteed. We promise that you’ll be happy with your basement waterproofing. Ready for your own basement waterproofing? Then let’s start with your free estimate. Contact us now, and we’ll start your waterproofing plan today.